Flower Camping St-Tro'Park is a campsite with 99 touring pitches and 48 year round pitches. 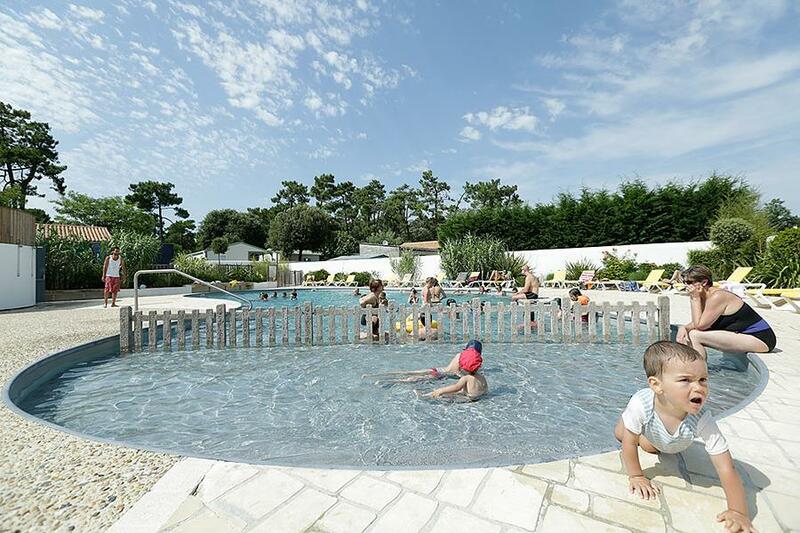 During low season, between 15-04-2019 - 05-07-2019 and 31-08-2019 - 30-09-2019, the nightly rate is €18,- at one of the 99 touring pitches at Flower Camping St-Tro'Park in Saint-Trojan-les-Bains (Charente-Maritime). At this campsite you can not only use your CampingCard ACSI for inexpensive camping, you can also use your ACSI Club ID (as an alternative ID). A peaceful campsite in wooded surroundings. The site has a heated swimming pool, jacuzzi, hammam and sauna. Toilet facilities for the disabled. Wifi. Technically an excellent campsite, super clean and calm, with good pitches, in a beautiful location. However there are few activities for kids. The pool is small, water toys are forbidden. At night there's a rule of silence after 11pm. There is no social life here, and we found the owners/managers to be cold, unsmiling, and unwelcoming. We felt like intruders... it was not a nice feeling and my kids and me agreed to not return here. Would you like to book Flower Camping St-Tro'Park or request more information? You can do both using the information below or by visiting the campsite's website. From the bridge, direction St. Pierre 'autres directions', follow St. Trojan as far as the harbour. Straight ahead at harbour roundabout. Turn right at roundabout with fountain. Keep left at junction. Then signposted. CampingCard ACSI will send your information request to "Flower Camping St-Tro'Park".